I have recently bought some cacao paste from Sunfood.com. I seem to be paralyzed, though. I am not sure what I want to do with this cacao paste. I mean, the longterm goal is to make the most delicious and healthy chocolate in the world. The short term goal is to learn how to make it sweet, and have the right texture. I happen to think texture is important in my chocolate sampling. It seems to me that most healthy chocolates have a dry and powdery texture. I don’t enjoy that as much as a commercial dark chocolate, with that glorious hard “SNAP” texture. I would like to create a chocolate with a low glycemic index. With that in mind, stevia would probably be a good sweetener selection, yet agave or yacon might give me a better end texture. They have comparatively low G.I. and offer some health benefits, too. So…. I am undecided on what to do, and here I sit, unable to move forward. I have some fun ingredients on hand, like goji berries, hemp seed, raw unsweetened coconut, cashews, and my favorite: cayenne~! I’ll come blog again when I have some new ideas on how to move forward. Maybe I can visit the Gnosis Chocolate Website for some inspiration~! 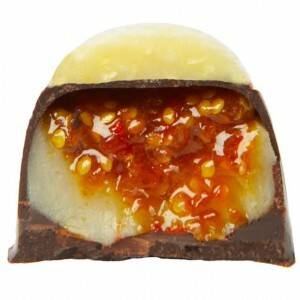 I doubt any raw chocolatier does it any better than they do~! Link to Cacao Paste - what the heck am I going to do with mine???? Link to Sunfood.com - a great resource to read about and buy raw foods. Link to Agave Nectar - I use this in my coffee instead of stevia or sugar. But, if you look for this, make sure to buy the raw kind or you’re basically just buying High Fructose Corn Syrup, HFCS, which is “way bad for you”. 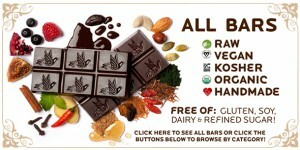 Link to Gnosis Chocolate – The most healthy chocolate available on the commercial market. Oh, and they get the texture right, too.